We’re excited to announce the official release of Troubled Mystic, the debut album by Australian electronic artist Liminal Drifter, featuring collaborations with English dream-pop artist Chloe March. Drawing on the seminal Warp releases of the ’90s, including Black Dog, Plaid and early Autechre, as well as more contemporary peers, Liminal Drifter evokes a spectrum of emotions across beautifully detailed electronic tapestries. Moving from downtempo dream-pop to shimmering, spacey electronica, this suite of songs works as if by osmosis, gently irradiating your subconscious. 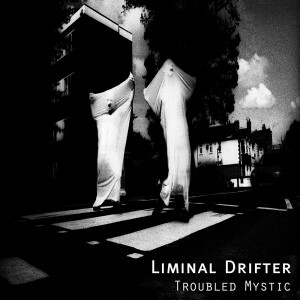 Liminal Drifter roves widely and deeply across Troubled Mystic’s hour-long run-time, allowing the songs to breathe and cross-pollinate. The title track punctuates a bright, shuffling groove with golden swells of brass and an aching vocal from Chloe March. ‘Dark Sunlight’ recalls the brooding majesty of Massive Attack’s ‘Inertia Creeps’. And gorgeous closer ‘Soothed by Summer’ vibrates with crystalline melancholia, resonating long after the last note has dropped. Troubled Mystic is available now via BandCamp, iTunes and the usual range of digital stores. Liminal Drifter “The Dreams” Out Now!